But the stand out moment wasn’t the (excellent) song — it was the passionate intro by Busta calling out Donald Trump’s travel ban targeting Muslim immigrants. This was followed by the song itself, which features the chorus “All you Black folks, you must go/All you Mexicans, you must go/And all you poor folks, you must go/Muslims and gays, boy, we hate your ways.” The song was written in 2016 but it feels especially timely in the era of Trump and his administration’s nakedly nationalist and xenophobic policies. Accompanied by dancers in military garb and a backing crowd representing a cross-section of Americans, the performance was already a Grammys all-timer. But the coup de grace occurred near the end of the song, when a group of women in hijabs symbolizing refugees the Trump administration tried and failed to ban from the United States marched onstage. As the song ended, Tribe lead rapper Q-Tip chanted “Resist, resist, resist, resist,” one of the evening’s more successful injections of politics. 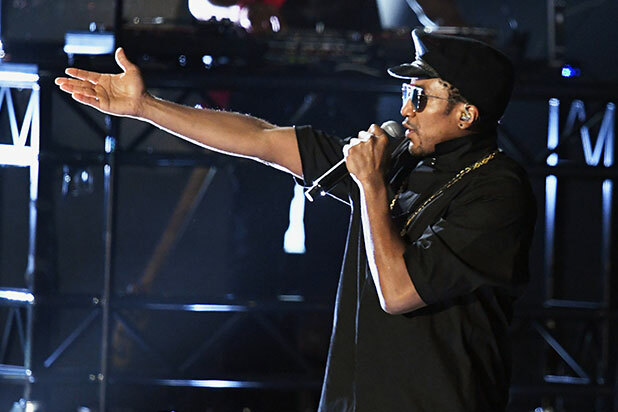 Among other highlights, the performance opened with brief references to classic Tribe tracks “Can I Kick It” and “Award Tour.” Later on during “We The People,” the Tribe and guest Busta Rhymes went silent and raised their fists in pride as banners fell with the face of deceased group member Phife Dog, who died last year of complications from diabetes. All remained silent as his recorded verse played.